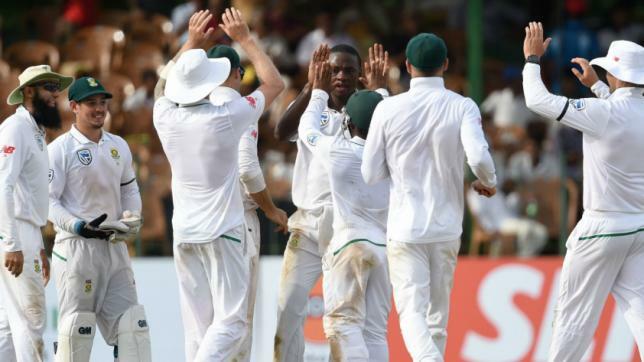 South African spinner Keshav Maharaj claimed eight wickets to leave Sri Lanka on 277 for nine at stumps on the opening day of the second Test in Colombo Friday. Maharaj returned impressive figures of 8-116 with his left-arm spin to hurt Sri Lanka with regular strikes after a 116-run opening stand between Danushka Gunathilaka (57) and Dimuth Karunaratne (53). Sri Lanka, who won the first Test in Galle, elected to bat first in their bid to clinch the two-match series. Akila Dananjaya, on 16, and Rangana Herath, on 5, were batting at close of play.